This is a Christmas game where you have to help Santa pack his parcels. The object of the game is to help Santa get the coloured balls into the boxes of the same colour. This is a game of thinking skills and strategy. 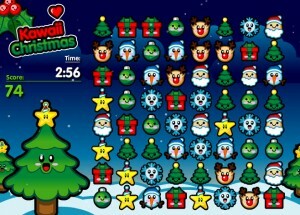 In this game, you have three minutes to swap the items on the Christmas tree to score as many points as possible. This is a game of concentration, thinking skills and strategy. 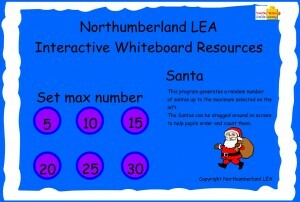 Interactive Advent Calendar, suitable for the IWB, with simple interactive activities behind each window. 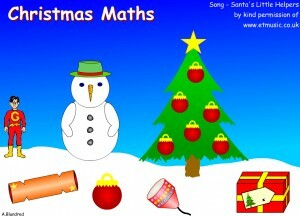 Lots of interactive maths activities, especially number activities, suitable for the junior section of the school, all with a distinctive Christmas theme. 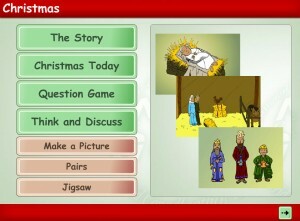 Match the pairs of Christmas objects from the 24 cards in this Pelmanism game. 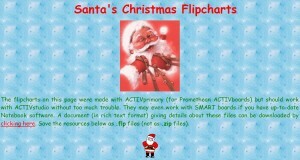 This would be suitable for the Interactive White Board (IWB). 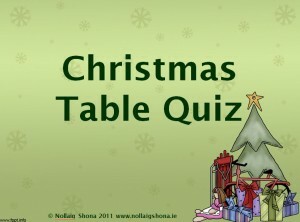 Use this site for counting activities during the Christmas season. Generate a random number of Santas on screen, up to a maximum of 30, the Santas can then be sorted into groups of five.